Just wanted to share what Budget Biyahera did over the weekend, as Ms. Ysobel, Aix and the rest of the Meet Manila team invited me once again to another awesome event. It was actually a collaboration of Writing Manila with 4 university organizations -- and I was oh-so humbled to be asked to share about traveling and blogging (eventhough I really sucked in public speaking!) with a very fun crowd. =P The venue was set at Conspiracy Garden Cafe. "Writing Manila is a new initiative of MeetManila.com, wherein we are tapping university organizations in encouraging fellow students to foster big ambitions for the Philippine tourism scene through the written word. WritingManila.org will serve as their portal through which they can have their writings about Philippine places, people, and culture featured. As this writing collective for the bright and young grows in the future, student initiative and leadership will be instilled in its members, as partial ownership of Writing Manila online assets will be granted to them. This non-profit avenue for aspiring writers will be perfect to give our students the platform they need for further development and to gain confidence in their beliefs through writing. 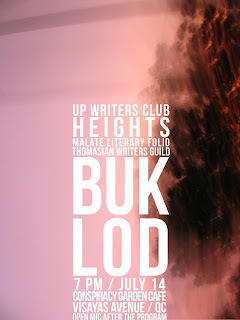 For our first ever visit, we are joining four university organizations, UP Writers Club, Heights (Ateneo), Malate Literary Folio (DLSU), and Thomasian Writers Guild in their upcoming event this Saturday, Buklod Zine. Besides joining them in their event, MeetManila.com will also be provided stage time to officially engage with them and their audience for Writing Manila." This what was emailed to me by Aix. She also requested if we (Meet Manila's friends) could engage with the young students for a 2-minute (each) chit chat -- ideally about our experiences in traveling around the Philippines and in blogging them. Followed both. 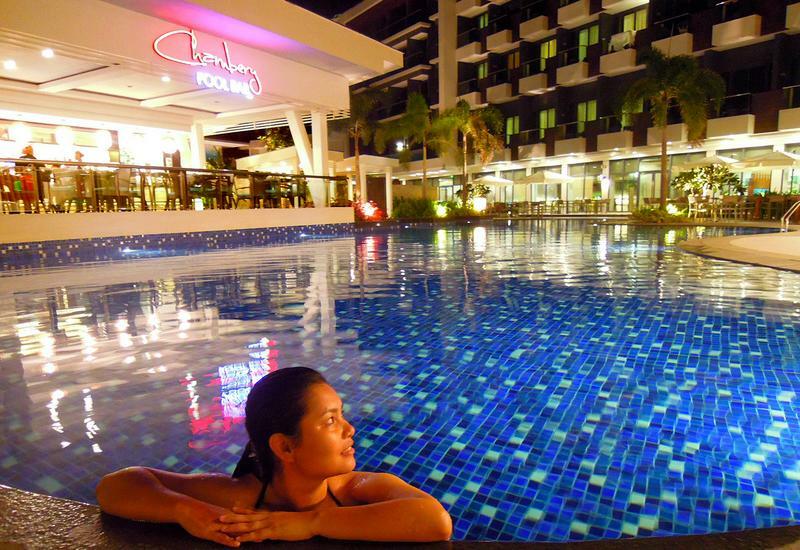 Writing Manila is lucky to have you as a resource with your vast experience in traveling and writing. i salute you for doing a speech with "codego". I have a stage-fright and would not last a minute on the stage with all eyes staring at me. congrats! Congrats to all. This is my first time to hear about WRITING MANILA . Thanks for sharing. Congrats for delivering a great speech. Way to go Ms. Mai! oh wow seems like a great event but i think you did really well congratulations! like you,i can't speak in front of many people.i rather make it in writing. stage freight is normal to most of us I guess. but at least you did it even without your cue card. congrats! Wow, what a fun event! I'd love to join next time! lol! ... mmmm, I then suggest you find a Toastmaster's Club near your place and join!!! I'm a member here in the States but was a member of Tambuli Toastmasters in Makati before.. it really helped in public speaking!!! Good luck! Like! It's nice to be in good company and share similar experiences with them. Super cool! We know what they say, practice makes perfect. With a little more actual experience in public speaking, I'm sure you'll be breezing through your speeches in no time. its okay to have cue cards as guide to your speech... i like that better than something memorized... but impromptu, thumbs up... Yahweh bless. Thanks for sharing about this. Sounds like a really nice org. Is this only opened for university students, or anyone? Actually, I wanted to stop talking then because I felt like I wasn't making sense anymore.. hehe!